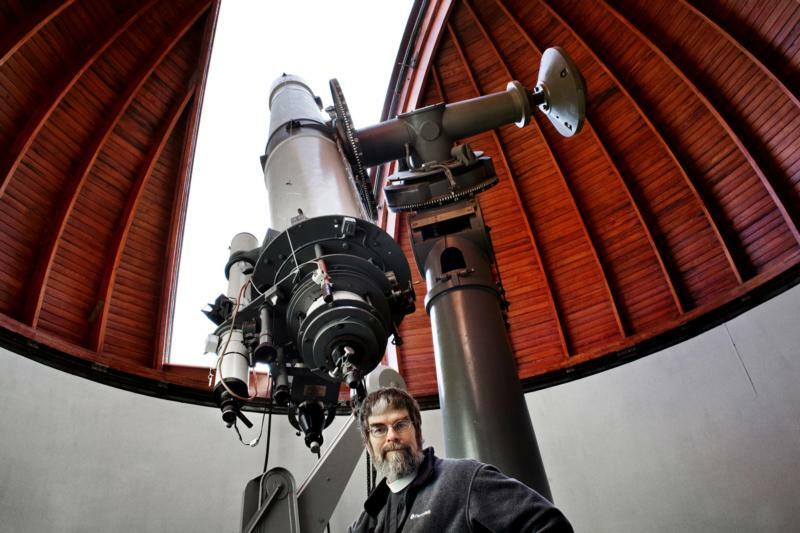 When friends and colleagues find out I work with the Vatican Observatory, their first reaction is often surprise that the Catholic Church supports a scientific research institute, particularly one that studies astronomy. After all, the Catholic Church put Galileo on trial for heresy. As it turns out, Galileo’s difficulties were more the exception than the rule. The Catholic Church has supported science and scientists throughout her history, beginning with the early Fathers of the Church through to the 21st-century Popes Benedict XVI and Francis. Many people know that Pope Francis trained as a chemist, but he is not the first scientist to become a pope. At the start of the 11th century, when the first flickers of modern science began to be seen in Europe, the pope was a mathematician and astronomer. Gerbert of Aurillac, who would become Pope Sylvester II, was sent by his abbot to Barcelona in 967 to study mathematics. Gerbert wrote several popular mathematics textbooks, but it was his calculating device, based on Arabic numerals, that would introduce the decimal system to Europe and set the stage for modern mathematics. Popes have supported scientists and mathematicians for hundreds of years. In 1748 Pope Benedict XIV read “Foundations of Analysis” by the Italian mathematician (and theologian) Maria Gaetana Agnesi. “Foundations” was one of the first calculus textbooks written and the first mathematics book by a woman in Europe. Pope Benedict XIV was so impressed by Agnesi’s work that he appointed her to the faculty at the University of Bologna. The first woman professor of physics in Europe, Laura Bassi, was also a protege of Pope Benedict XIV, who asked her to join his elite circle of scholars, the Benedettini. The religious orders have nurtured scientists and their work for more than a thousand years. Among the scientific writings of 12th-century Benedictine abbess St. Hildegard of Bingen are a catalog of the local plants and animals, and a primitive theory of evolution. In 1979, St. John Paul II called her a “a light for her people and time,” and in 2012, Pope Benedict XVI added her to the church’s formal list of saints and recognized her as one of the 36 doctors of the church, for both her spiritual and scientific insights. Gregor Mendel, known as the father of genetics, was an Augustinian monk. Mathematician and Sister of Mercy Mary Celine Fasenmyer’s doctoral thesis made possible key discoveries in computer science. The priests and brothers of the Society of Jesus have produced scores of scientists, from Father Jean Leurechon who in 1626 published one of the first descriptions of a thermometer to astronomer Father Angelo Secchi who in the middle of the 19th century developed the first classification systems for stars. Present-day Jesuit scientists include physicists Father Cyril Opeil at Boston College who explores the fundamental properties of matter and Brother Robert Macke of the Vatican Observatory who studies meteorites. Faithful Catholic lay men and women have also made many major contributions to science, and many see their work as rooted in their faith. Henri Bequerel, who won the 1903 Nobel Prize in physics for his discovery of radioactivity, was remembered at his funeral as a man who found God “on the very highway of science” as well as in the simple prayers of his childhood. Science and religion are not seen by the church as opposing forces, but distinct and valuable approaches to understanding the universe and our place in it. Each has something to offer the other. The universe is a wonderful mystery we are called by our Creator to explore with delight — whether we are scientists or not. PREVIOUS: What are Catholics’ opinions about faith and science?